I’ve been extremely busy this summer with field workshops and writing a new Lightroom guide, but I’m back to bring you all up to speed on what I’ve been doing. In today’s episode, I want to discuss frequently asked questions about moving to Lightroom from other programs. Where does Lightroom store my images? Why do my images look different in Lightroom? Does Lightroom require sidecar files? Is Lightroom only for raw files? Where is the “save” button? I also discuss the advantages of using a database (catalog)-based workflow program, like Lightroom, over traditional browser/editor workflows. Lightroom offers significant advantages for image viewing, browsing, editing, and printing. Don’t forget to check out the fall series of Digital Underground instructional photo tours that I’ll be leading together with Deborah Sandidge. Join us this fall in Las Vegas, NV and San Antonio TX! Adobe Photoshop Lightroom relies on the Adobe Camera RAW (ACR) rendering engine to convert camera RAW images. The default color and contrast settings are something called “Adobe Standard” which look different than what you might see on your camera LCD when reviewing your images. 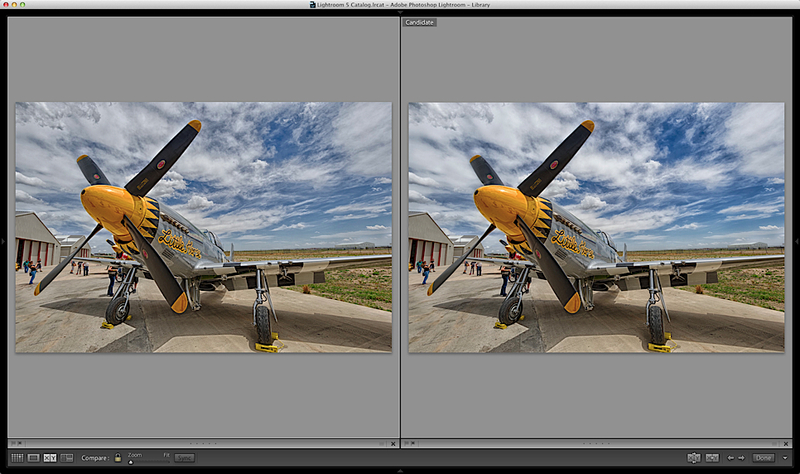 However, Adobe offers alternate Camera Profiles which emulate the as-shot settings from many Nikon and Canon DSLRs. You’ll find these settings in the Camera Calibration panel in Lightroom and ACR. In this example, I have placed an image of a Colorchecker card on the screen so you can see how the colors and contrast change between camera profiles. For this image, I get options based on the Nikon D800 that I used to capture the RAW file. Note that you can only make profile changes to RAW files. If you see “Embedded” under the profile option, it’s because you’re looking at a TIFF or JPEG image in Lightroom. Choose from any of the profile presets in the drop-down menu to change the baseline color and tone curve of your image, and you can fine-tune it with the sliders if you wish. If you have a ColorChecker card, you can use the ColorChecker software from X-rite to create a custom profile for your camera. Each custom profile is specific to the camera you use to create the image. You can further tweak those profiles using Adobe’s DNG Profile Editor software (free download from www.adobe.com). Once you have a profile that you like, you might wish to change your defaults to always use that profile going forward. If you do change your default settings, note that ANYTHING you modified in the Develop section gets applied, so keep your adjustments minimal (Calibration, sharpening, lens corrections) so that you don’t over-process your images. Defaults are only applied automatically when you import new images into Lightroom. Existing images will not be changed; you’ll have to adjust them manually or use the “Reset Settings” option in Lightroom to do so. Busting Nikon D800 Myths: Is Abject Fear Stifling Your Creativity? 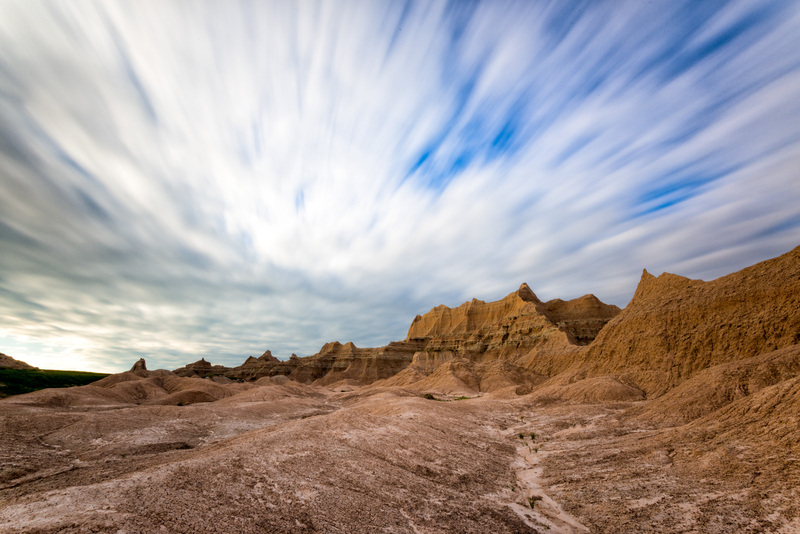 Sweeping skies over Badlands National Park, South Dakota. Nikon D800e with 16-35mm Nikkor lens and Singh-Ray 10-stop solid ND filter; 74s@ f/22, ISO 100. According to the Internet, I should not have used these settings with this camera (Click for a larger view). I have a Nikon D800e. It’s an amazing camera and I love using it. Maybe you have one, too. But if you handle the camera based on some of the sage advice offered up around the interwebs, you might be missing out. While the advice, from a pure technical standpoint, might be valid, it might also be causing you unnecessary stress. Let’s take a look at three common technical warnings for D800 users. 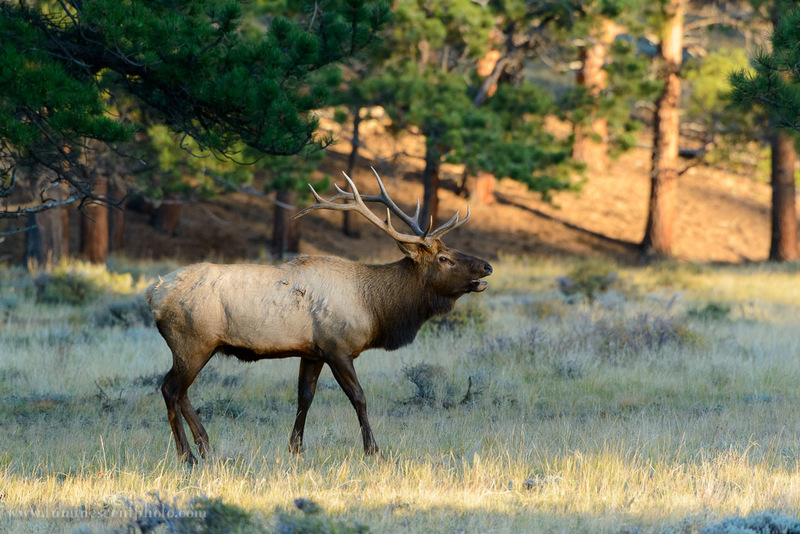 Bull Elk, Rocky Mountain National Park, CO. Captured with a Nikon D800e DSLR at ISO 3200. A few years ago, just about every Nikon DSLR captured images at around 12 megapixel resolution. The main differences between camera models, then, involved features (speed, AF) and sensor size (FX vs. DX). The biggest advantage of the FX sensor cameras at that time was sheer low-light performance. For the most part, my colleagues and I agreed, the megapixel race seemed over, or at least, diminished as an important feature.